So there you are, listening to "your" song on the radio and remembering the good times. And you wish you could help your ex remember the good times, too. Whether your ex is male or female, flowers have a romantic feel, and they can be delivered, meaning no messy unplanned interaction. Remember to think of your ex first and their feelings, not just yours. Will flowers make them happy or hurt them? Use care and discretion and you might just pull it off. Always think of the other person's feelings when sending flowers. Write out the pros and cons of sending a gift like flowers. If any message or gift from you will hurt your ex, don't do it. If you can pull it off neutrally, great. This works best if it's for a celebration, such as a birthday or anniversary. If your ex is involved with someone and lives with them, you should only send flowers to the office. Consider, though, that the office can be a hotbed of gossip, and flower delivery might be disruptive. So only send flowers to the office if you know it will be a receptive environment. Keep it simple. If you decide to send flowers and no one will be hurt, make sure that you send something simple and it clearly does not need excessive thanks. A huge bouquet of three dozen roses might make a statement, but it also is ostentatious and attention-getting. 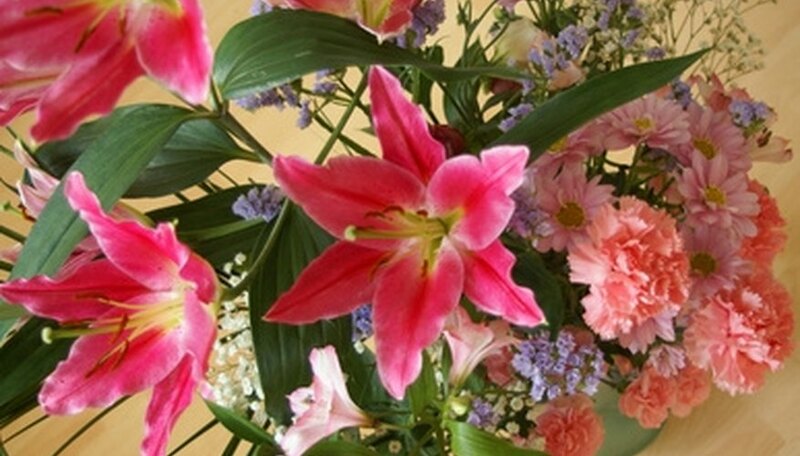 A simple bouquet or arrangement of mixed colorful flowers is a better choice. Write an enclosure card or give it to someone over the phone at the florist. Make it clear on the message what you're thinking and feeling. If you miss them, say so. If you want to get back together or see them again, say so. If you're just remembering the good times, be clear about that, too. Do not expect a response. You have to take complete silence as acceptance of your gift and words, and that there is no desire to pursue it further. Do not call, text or otherwise go looking for a response. You have to send flowers with no strings attached. Be clear on your feelings before sending a gift to an ex. If they receive it and think you want them back, you should be ready to have them back. Do not personally deliver the flowers. If you made a bouquet yourself, leave it when you know your ex won't be around. Cioffi, Rebecca. "How to Send Flowers to Your Ex." Dating Tips - Match.com, https://datingtips.match.com/send-flowers-ex-6759492.html. Accessed 21 April 2019.